RAMPAGE, also known as TERROR IN MEEPLE CITY, is a dexterity-based board game. My review of this silly (and possibly terrible) board game. 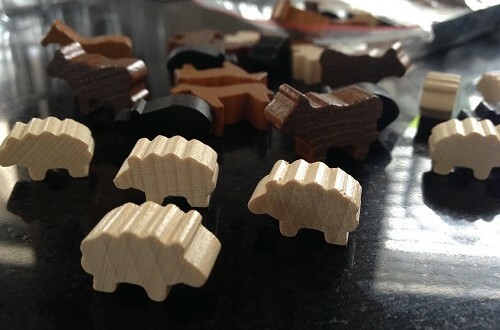 A review of the board game, AGRICOLA. Farming ain’t easy. Animals insist on eating EVERY day. As I’ve written before about video games, it’s easy for games with a zombie theme to go wrong. Recently becoming the owner of two board games with zombie themes I got to see examples of either side, where one game has what I’m looking for and the other does not. My fiancée and I play a lot of games together. Quiet weekends and weekday evenings while we wait for dinner to cook are great times to get in some board games. As such, I’m always on the lookout for good two player games. Risk: Lord of the Rings is the best version of Risk there is. Why? 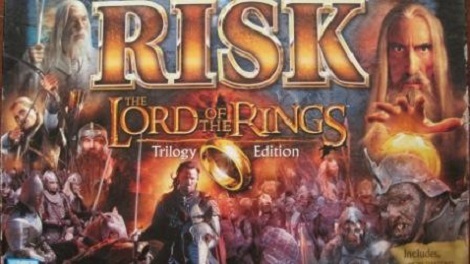 Because it’s Risk plus Lord of the Rings.